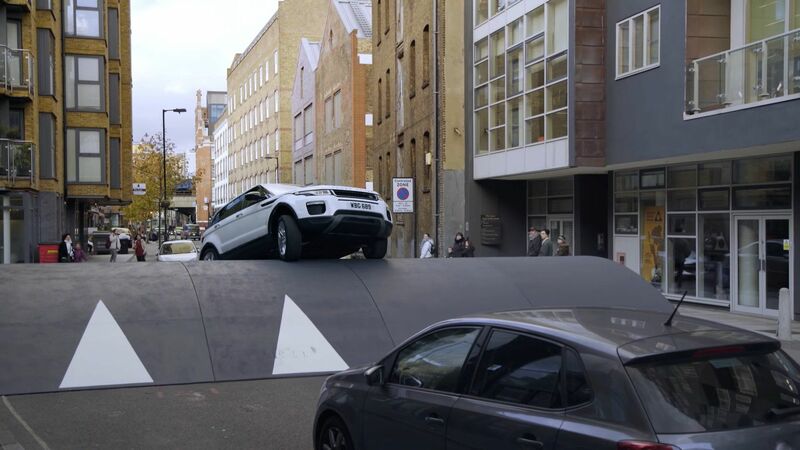 Despite being on the market since 2011, the Evoque is still managing to attract lots of customers thanks to its good looks, modern features and premium feel. 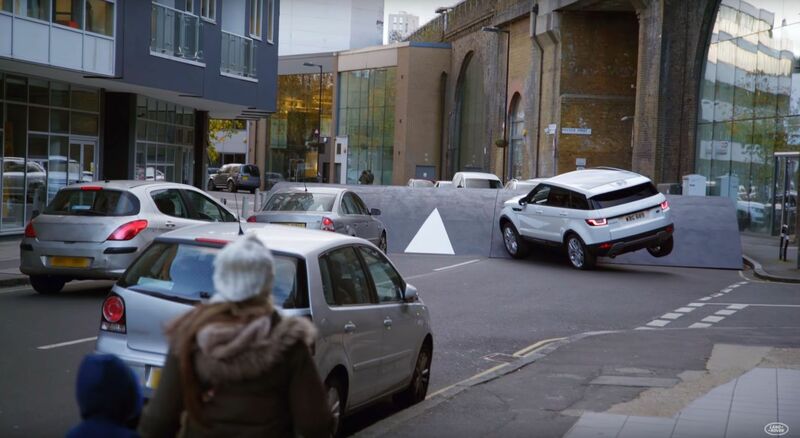 However, with newer rivals arriving at the segment, Land Rover found a clever way of advertising the Evoque, Range Rover’s best-selling model. 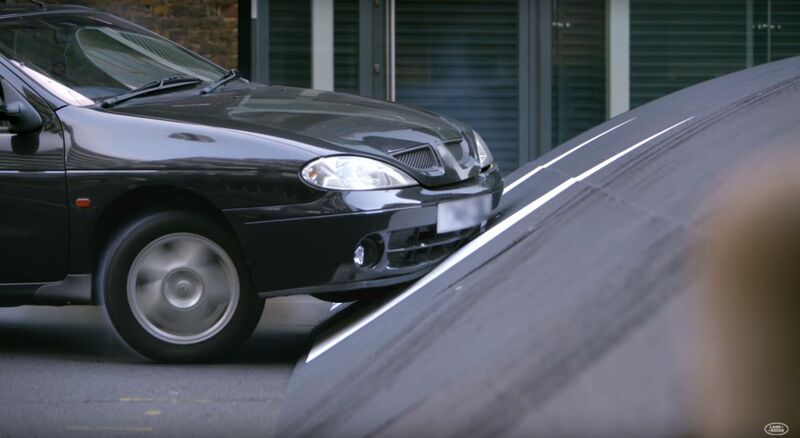 What it did was organize a stunt that involved installing the world’s biggest speed bump on a british city road. Road users were confused by the massive obstacle, with some turning their cars around and others trying to drive over it with no success. 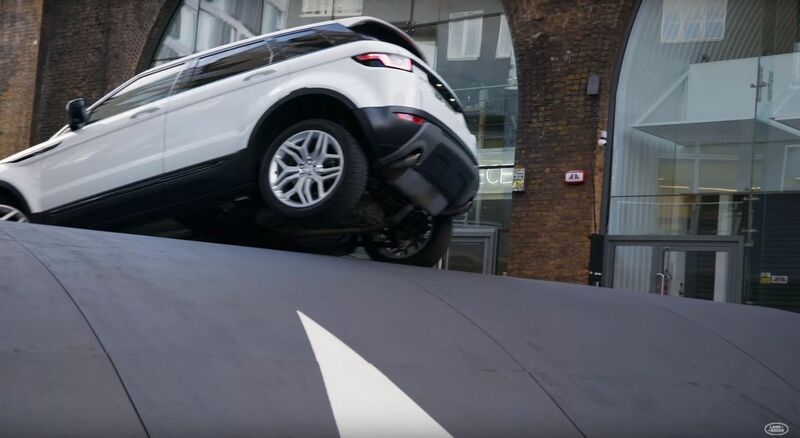 As traffic begins to pile up on both sides of the speed bump, a Range Rover Evoque suddenly appears.The tiny SUV approached the bump at an angle and,sometimes on just three wheels and showed everyone just how capable it is on dealing with obstacles like this. The message the automaker wants to pass along is that, despite its not-so-rugged looks, the $41,800 Range Rover Evoque that is powered by a 2.0-liter turbo four-cylinder,is capable at handling most obstacles, even those an owner would never think to throw at it. So,if your local government has the irritating habit of shutting down the entire streets with big speed bumps,the Evoque looks to be the perfect car for you.